Between the ages of 7 and 8 James Quander was told the only thing he was born to do was to die. However, he lived longer than persons who had diabetes were expected to. Mr. Quander was born in 1918 and was diagnosed with type 1 diabetes just before he turned 6 in 1924, shortly after insulin was introduced to the market. James Quander was a black American whose family had been in the United States since the late 1600s. Mr. Quander graduated from Garnett Patterson Junior High in 1933 and Paul Laurence Dunbar High School in 1936, Washington’s then segregated schools. He worked his way through Miner Teachers College (now part of the University of the District of Columbia) by selling ice cream and had two newspaper routes during the great depression, where he graduated with a degree in Chemistry. In 1940 Mr. Quander was hired by the U.S. post office, persevered past racial inequalities and worked for many federal agencies as a computer programmer, statistician and economist until his retirement in 1973. In 1971 he was ordained by the Washington Archdiocese as a permanent deacon in the Roman Catholic Church, becoming one of the first 16 men in the restoration of what had been suspended for 800 years. Mr. James Quander kept his diabetes a secret for over 60 years because of pervasive misunderstandings about the nature of the disease. He was self motivated, setting high goals; a determined, and disciplined individual. Mr. Quander was described as a medical miracle, one of the longest survivors of diabetes in the US. Mr. James Quander passed away at the age of 86, surviving with diabetes for over 80 years. He left behind four children, 11 grandchildren and one great-grand child. Rohulamin Quander, a retired judge, wrote a book about his father called “Quander Quality:The True Story of a Black Trailblazing Diabetic“. After the diagnosis of diabetes, there are a few diabetes-related tools that you will either have to purchase or have access to. I recommend buying a glucose meter, but before you do this, be sure you have access to the meter test strips; because this is the real source of expense. You need to check your blood glucose readings several times per day, if your blood glucose is poorly controlled. 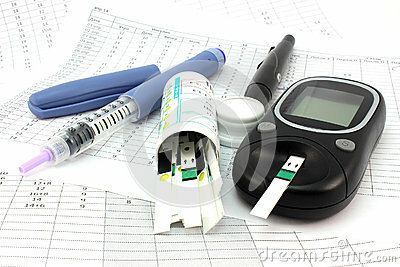 You will also need lancets to use each one, just once, and you may also need a lancing device as well. If you take insulin you may need an insulin pen or pump. To ensure accurate readings, be sure that your test strips have not expired and try not to leave your meter and test strips out in the sun. There may be a calibration code or a control solution that you can use to ensure that your meter is well calibrated especially when you open a box of new test strips. Compare your meter to your doctor’s and ask for help if you need to. Remember that your blood pressure monitor, pedometer and an A1C meter may all be part of your arsenal in diabetes management. Also be sure to have a container for your sharps such as your needles or lancets. A person’s personality may or may not be modifiable, but an understanding of the relationship between an aspect of personality and adherence to diabetes management plan is quite useful. This can allow modifications to education, counselling methods and behavioural therapy. More than one study use a measure called the NEO Personality Inventory with personality dimensions such as neuroticism, extroversion, agreeableness and conscientiousness, openness to experience, and the respective facets. Both among persons with type 2 diabetes and adolescents with type 1 diabetes, conscientiousness was associated with better glycaemic control. Neuroticism is usually associated with guilt, decreased coping abilities with stressors but surprisingly neuroticism was also associated with better glycaemic control. Further, a high level of altruism was linked to less successful control of blood glucose. Do persons who care more about the needs of others neglect their own self-care? Does worry and useful “emotional distress” predict increased motivation? Studies are ongoing. Whatever your personality, your diabetes physician can work with you.